Pipes need to be match up, or they will leak. This means that you can’t connect a pipe of one diameter to another (unless they are designed that way, but that’s a completely different story.) 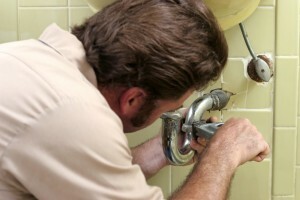 Make sure that you have the right size pipes, washers, fittings and other materials before you start the job. Taking shortcuts in order to get the job done quickly can result in disaster. Instead, take your time and make sure that you are getting everything done properly. It may take longer than planned, but at least you won’t have to take it all apart and re-do it once it’s complete. This is the most important step that you need to take. It’s more important than even checking your tool and material supply. If you attempt to take apart your plumbing without turning the water off, you will end up with a flood. Of course, there is always a little excess water in them that will leak out, but that’s nothing compared to the mess made when you forget to turn the water off. Pipes need to be winterized, especially in a place with a cooler climate, like Edmonton. Even if you have the heat on in your home all winter long, your pipes still need to be winterized. There might be one or two that are exposed to the elements somewhat due to inadequate insulation. The water in these pipes can freeze, which will lead the pipes to crack.